Born: 11 September 1948 in New Malden, Surrey, England. Died: 29 January 2009 in Ireland, aged 60. 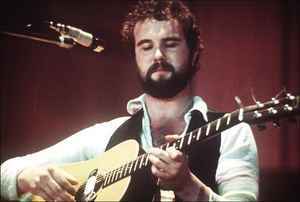 John Martyn OBE (he was appointed OBE in the 2009 New Year Honours list) was a British singer-songwriter and guitarist. Known for his acoustic guitar playing starting out in the folk clubs in the UK, but then moving beyond and into other more mainstream areas also. Born in Surrey! But John will always be in the heart of Glaswegians. A rare rare talent, magic in his compositions and voice.